DUBLIN, Ireland - An intelligence-led operation conducted in Dublin has led to the seizure of drugs worth half a million euros. The operation targeting the activities of a Drimnagh-based organized crime gang was conducted by the Garda National Drugs and Organized Crime Bureau, and the Special Crime Task Force. As part of the operation, a house was reportedly searched in the Drimnagh area late on Friday night and ended with the seizure of a large haul of drugs. Gardai said that they had discovered quantities of heroin, cannabis herb and resin, and cocaine at the house. The drugs seized by officials during the raid were said to be worth an estimated street value of 500,000 euros. Gardai revealed that two people, a 37-year-old man and a 55-year-old woman, were arrested during the operation in the capital. Both of them have been detained under Section 2 of the Criminal Justice (Drug Trafficking) Act, 1996 at the Crumlin Garda Station. 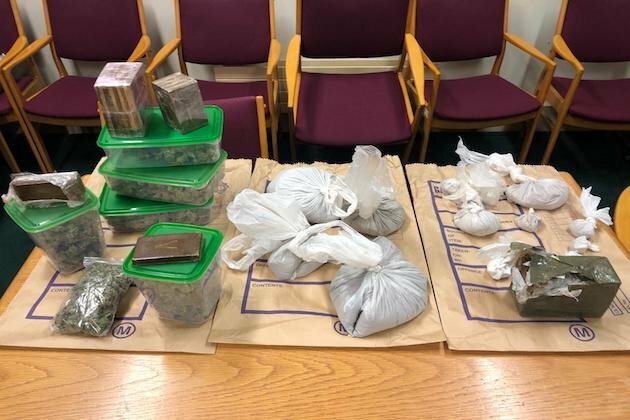 A Garda spokesperson said in a statement, "Gardai have seized drugs with an estimated street value of 500,000 euros and arrested two people during an operation in Dublin. The investigation is ongoing."